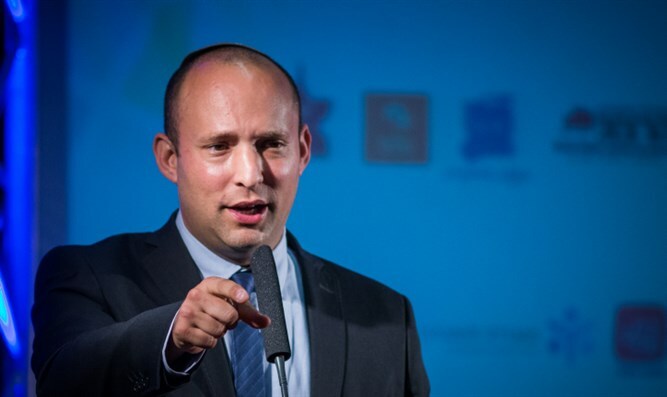 Education Minister Naftali Bennett (Jewish Home) released a notice describing his security-related meetings with US representatives on the sidelines of the AIPAC Policy Conference currently underway in Washington DC. “I thanked Eliot Engel (D-NY) for promoting legislation against Iran's Revolutionary Guard. “Ted Deutsch (D-FL) shared with me efforts to classify Hezbollah as a terrorist organization in Europe. “I spoke with Joe Wilson (R-SC) about the need to curb Iran's missile program. “Norm Coleman [former Republican Senator for Minnesota] shared with me actions to tighten sanctions against the Iranian nuclear program. “Bradley Schneider (D-IL) told me why he returned to Congress after he retired: to stop Iran from arming itself. “With Ed Royce (R-CA), chairman of the Congressional Foreign Affairs and Defense Committee, we talked about the common interest in preventing Iranian consolidation in Syria.